Thanksgiving, Christmas, and New Year’s. What should be a time to celebrate family and togetherness is for too many families a time to dread and to endure the tragic anniversary of the death of a loved one due to drunk driving. Sadly, the death toll will rise again this year as more Mainers become victims of drunk driving accidents. According to statistics compiled by Mothers against Drunk Driving (MADD) in 2012, nearly 2,000 people were killed in drunk driving accidents between Thanksgiving and New Year’s Eve. MADD projects 600 drunk driving deaths across the nation on New Year’s Eve 2014 and New Year’s Day. The U.S. National Institute on Alcohol Abuse and Alcoholism (NIAAA) reports that 40% of traffic-related deaths during Christmas and New Year’s involve drunk drivers — a 12% increase over the rest of the month of December. 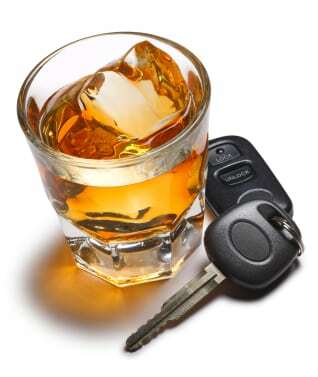 MADD reported New Year’s Day 2012 was particularly deadly, with 140 drunk driving fatalities reported after midnight. The National Highway Traffic Safety Administration reports that on New Year’s Day, 40% of all fatal crashes involve a drunk driver. The Insurance Institute for Highway Safety says the number is closer to 50%. And it’s not only the drunk driver and his or her passengers that are at risk. The frightening statistics bear out year after year that if you are driving sober, you are far more likely to be killed or injured in an automobile accident on New Year’s Eve or New Year’s Day than almost any other day of the year. In 2012, Maine saw a 113% increase in the number of drunk driving fatalities over 2011, accounting for 30% of total traffic deaths that year. To be declared legally intoxicated while driving in the state of Maine, your blood alcohol content level needs only to be .08 % or higher, an extremely low threshold. For some drivers, two drinks in an hour will put them over the legal limit. That can easily be consumed at a polite New Year’s Eve party or a celebratory dinner with friends. If you are a driver operating a vehicle over that legal limit and are involved in an accident causing an injury or a death, that victim or victim’s family can file a Maine DUI accident lawsuit against you. And experienced car accident attorneys can and will seek restitution against you on behalf of the victim. Drivers who are found liable for driving under the influence or while intoxicated can be subject to jail time, large monetary fines, and restrictions, suspensions, or loss of their licenses. And their troubles are just beginning. Maine provides for criminal financial restitution to drunk driving victims, but since this type of accident can cause catastrophic injury, the restitution is often not enough to cover the raft of expenses that come with prolonged medical treatment, loss of income, and ongoing pain and suffering. Since 1976, our veteran team of crash investigators, medical experts, and financial loss experts have been standing up for the rights of car accident victims in Portland, Lewiston, Bangor, and throughout southern Maine. We will file a Maine car accident lawsuit on your behalf, and we will collect no fees unless and until we achieve a favorable settlement or verdict for you. To learn how the attorneys at Hardy, Wolf, & Downing can help you receive the compensation you deserve, call us for a no-cost evaluation of your case at 1-800-INJURED.